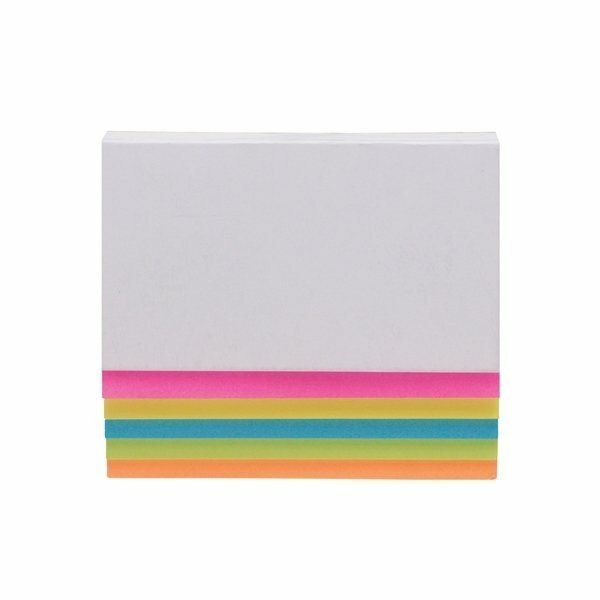 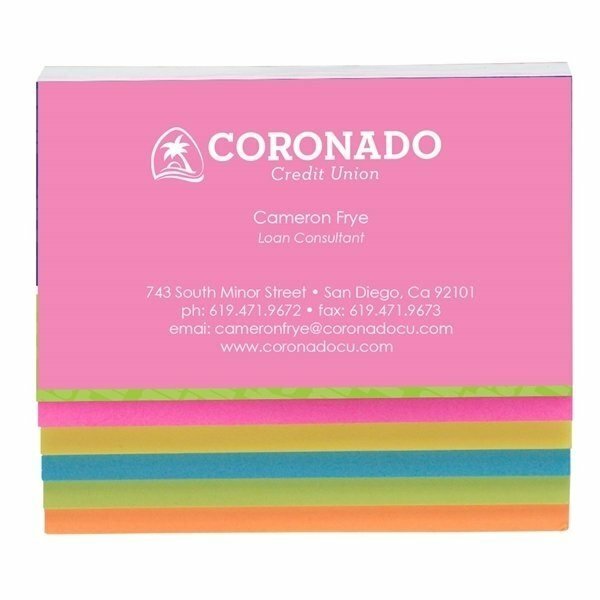 Make your message stick in their minds with these 5-color Sticky Notes! 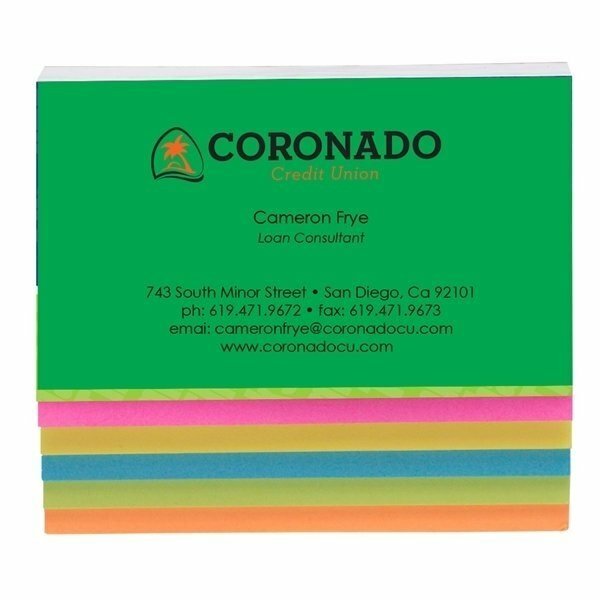 This set includes 20 sheets of each of the 5 colors, making important notes or documents stand out from the rest. 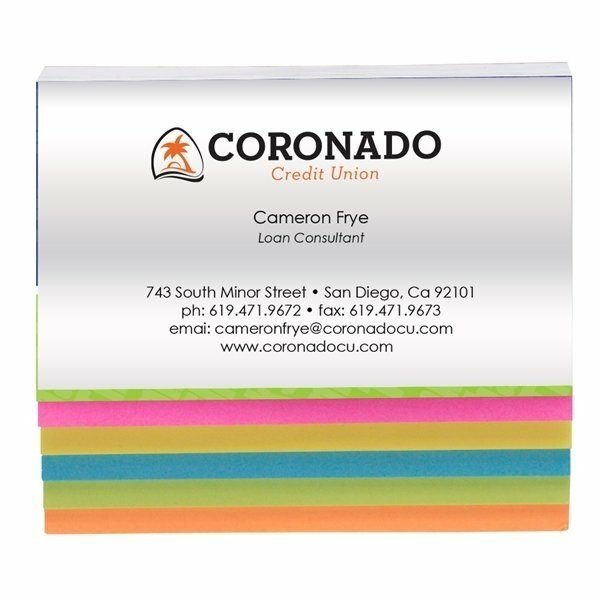 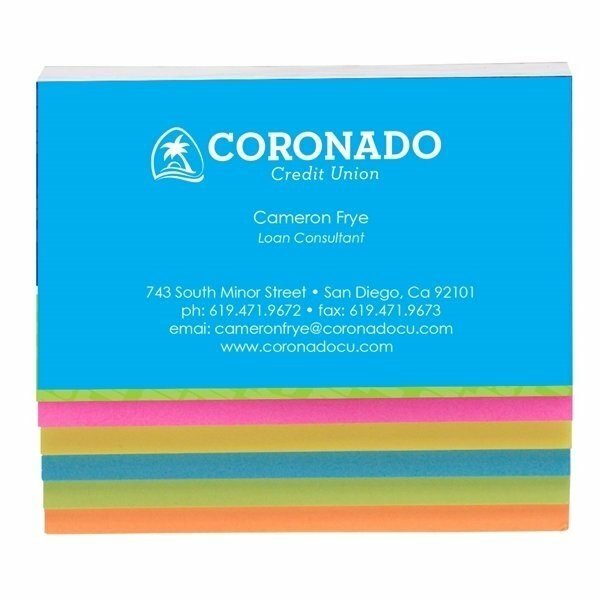 With a one to four color SimpliColor™ imprint of your business information or logo on the front, clients will remember your brand when they reach for these office essentials. 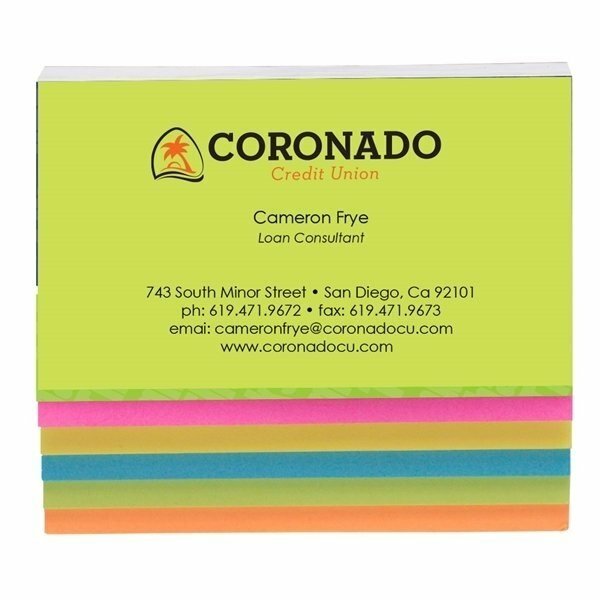 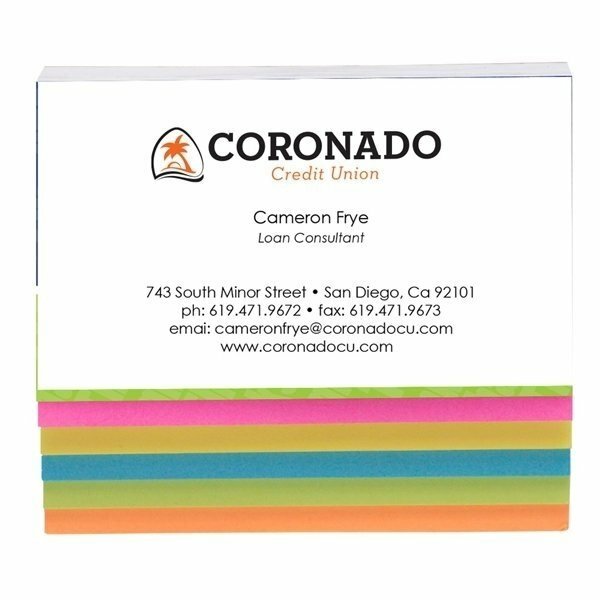 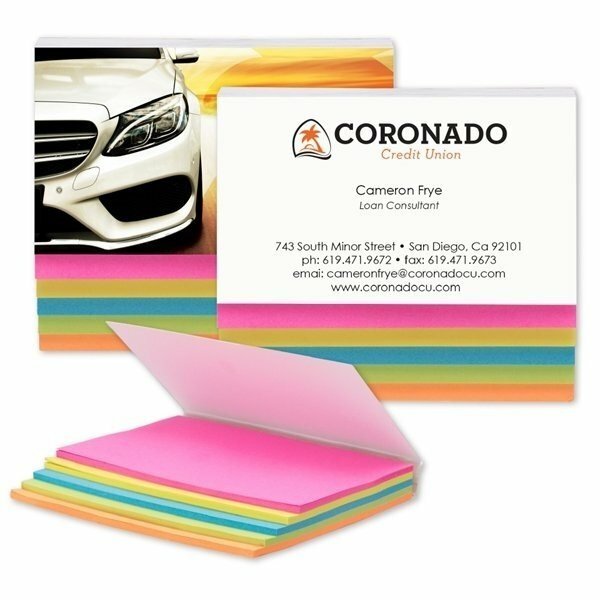 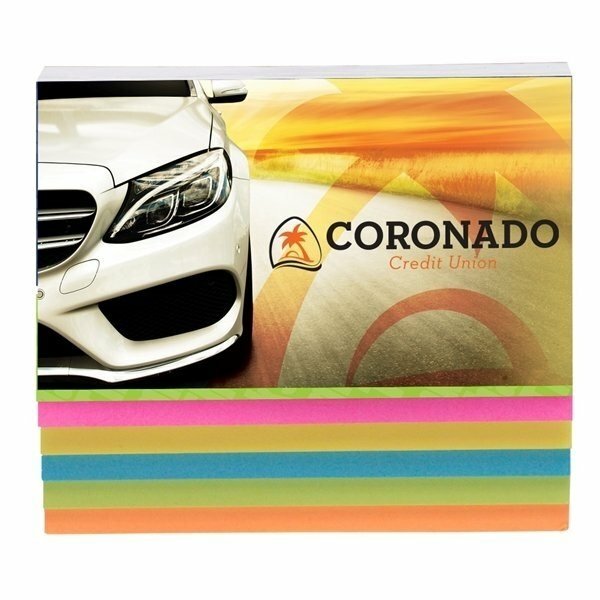 From schools and networking meetings to training seminars and more, these sticky notes will keep your business front and center!